Considero que no es el mejor encuadre para un bodegón, pero es un buén intento. 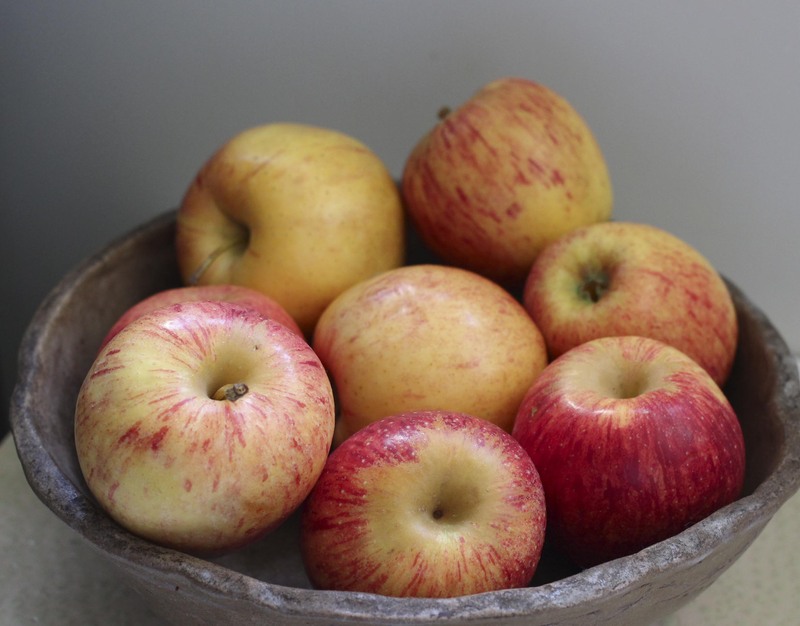 The close-up point of view is showing the details of the apples in the bowl. The sharpness is good at the bottomof the bowl but changing toward the top of the bowl. The light is enhancing the colors. Have a nice day.